Live Demo Download (168) Free vs Paid? 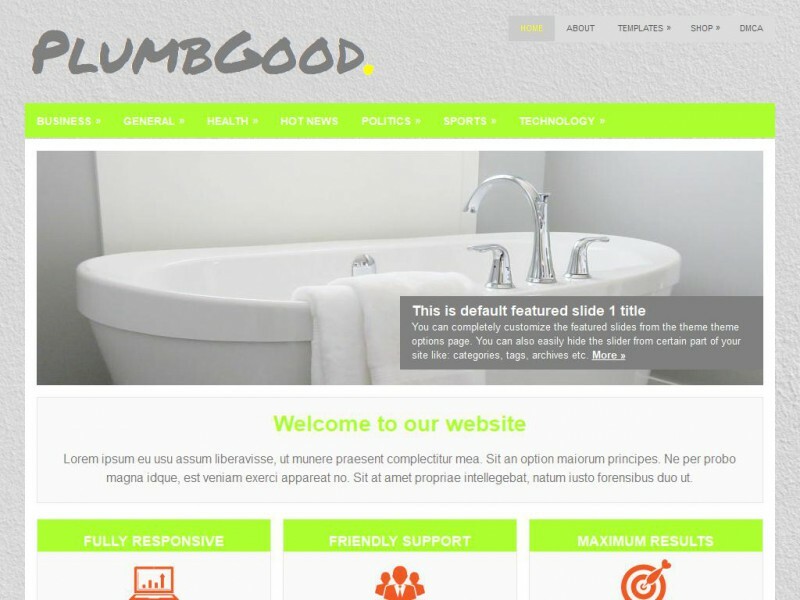 PlumbGood is a colorful and clean responsive WordPress theme. Out of the box it will work on any desktop, laptop, tablet, and mobile phone. The theme is designed especially for plumbers, but can be used for any construction company or any site in general. It is very customizable with tons of features, including custom widgets. The main menu system supports drop downs, including third level drop downs!